Here are some snazzy birthday facts about 27th of February 1938 that no one tells you about. Don’t wait a minute longer and jump in using the content links below. Average read time of 9 minutes. Enjoy! What day was my birthday Feb 27, 1938? February 27, 1938 was a Sunday and it was the 58th day of the year 1938. It was the 9th Sunday of that year. The next time you can reuse your old 1938 calendar will be in 2022. Both calendars will be exactly the same! This is assuming you are not interested in the dates for Easter and other irregular holidays that are based on a lunisolar calendar. There are 312 days left before your next birthday. You will be 82 years old when that day comes. There have been 29,638 days from the day you were born up to today. If you’ve been sleeping 8 hours daily since birth, then you have slept a total of 9,879 days or 27.05 years. You spent 33% of your life sleeping. Since night and day always follow each other, there were precisely 1,004 full moons after you were born up to this day. How many of them did you see? The next full moon that you can see will be on May 18 at 21:13:00 GMT – Saturday. Fun stat: Your first one billion seconds (1,000,000,000) happened sometime on November 5, 1969. If a dog named Tugboat - a Kooikerhondje breed, was born on the same date as you then it will be 384 dog years old today. A dog’s first human year is equal to 15 dog years. Dogs age differently depending on breed and size. When you reach the age of 6 Tugboat will be 42 dog years old. From that point forward a medium-sized dog like Tugboat will age 4.5 dog years for every human year. American Revolutionary War: The House of Commons of Great Britain votes against further war in America. American Civil War: The first Northern prisoners arrive at the Confederate prison at Andersonville, Georgia. First Boer War: The Battle of Majuba Hill takes place. The initial version of the John Jay Report, with details about the Catholic sexual abuse scandal in the United States, is released. Curious about this Fantastic White Sprinkle? This is a party item you can activate and send to your friends when you play the free game Jump Birthday Party. It’s a fun and easy-to-play mobile game for all ages. Get free 1,000 gold coins when you download today! What does my birthday February 27, 1938 mean? 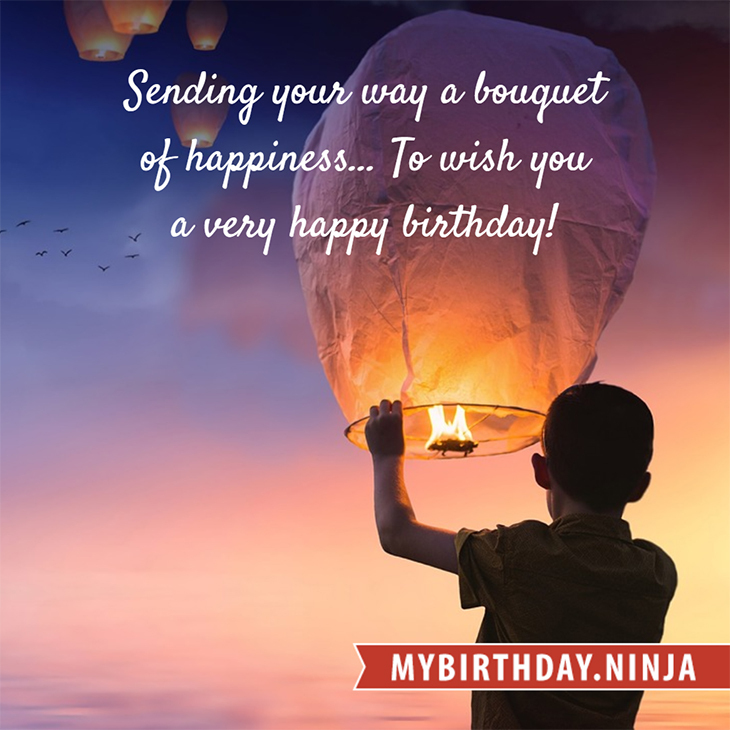 Your birthday numbers 2, 27, and 1938 reveal that your Life Path number is 5. It represents progress, adventure and opportunity. You possess the curiosity of a cat and long to experience all of life. The following celebrities also have the same life path number: Mariska Veres, Nicholas McDonald, Gary Cooper, Burr Tillstrom, Jack Keller, Jenny Platt, Suzzy Roche, Rachael Todd, Song Seung-hyun, Gale Storm. 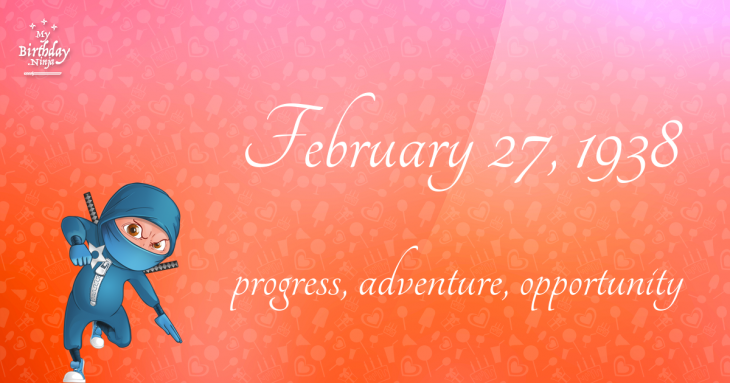 What is the birthday horoscope for Feb 27, 1938? The Western zodiac or sun sign of a person born on February 27 is Pisces ♓ (The Fish) – a mutable sign with Water as Western element. The ruling planet is Neptune – the planet of dreams and imagination. According to the ancient art of Chinese astrology (or Eastern zodiac), Tiger is the mythical animal and Earth is the Eastern element of a person born on February 27, 1938. Fun fact: The birth flower for 27th February 1938 is Violet for modesty. What is the Love Match for Feb 27, 1938? When it comes to love and relationship, you are most compatible with a person born on November 16, 1950. You have a Love Match compatibility score of +118. Imagine being in love with your soul mate. On the negative side, you are most incompatible with a person born on August 26, 1957. Your incompatibility score is -127. You’ll be like a cat and a dog on a love-hate relationship. Arf-arf, I want to bite you. Meow-meow, stay away from me! What is the popular baby name on 27 Feb 1938? Here’s a quick list of all the fun birthday facts about February 27, 1938. Celebrities, famous birthdays, historical events, and past life were excluded. Try another birth date of someone you know or try the birthday of these celebrities: August 26, 1974 – Meredith Eaton, American actress; September 10, 1984 – Harry Treadaway, English actor; November 23, 1987 – Snooki, Chilean-American actress and author.